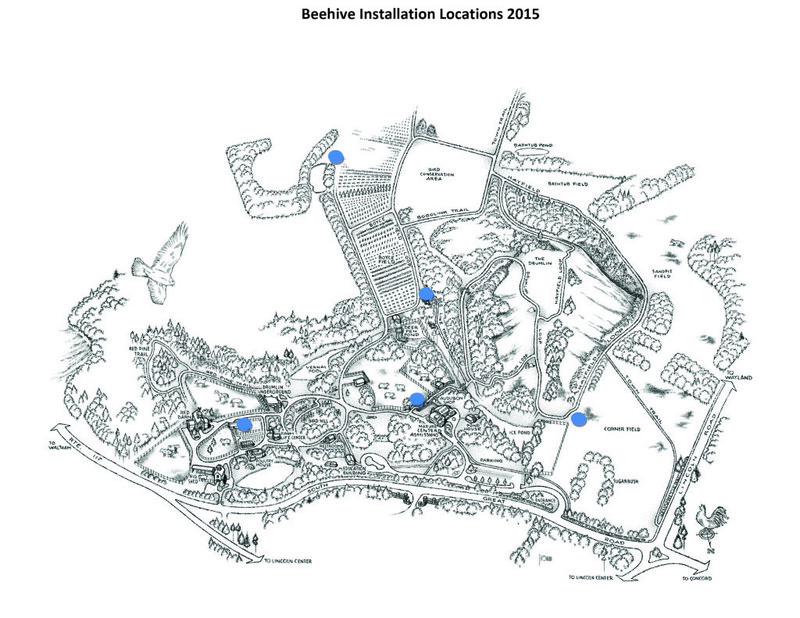 Inside the Hive: Congratulations Bee School Graduates! Posted on May 3, 2018 by Kelly M.
The Drumlin Bee School recently completed its ongoing five week series program and graduated 38 students as new beekeepers. The Drumlin Farm beekeeping series programs teach students everything they need to know about starting and maintaining bee hives at home. Mel Gadd, recently awarded Massachusetts’ Beekeeper Association’s 2017 Beekeeper of the Year, has been leading Drumlin Farm Students and teaching them this rewarding hobby for many years. Instructor Mel Gadd prepares to open the hive. 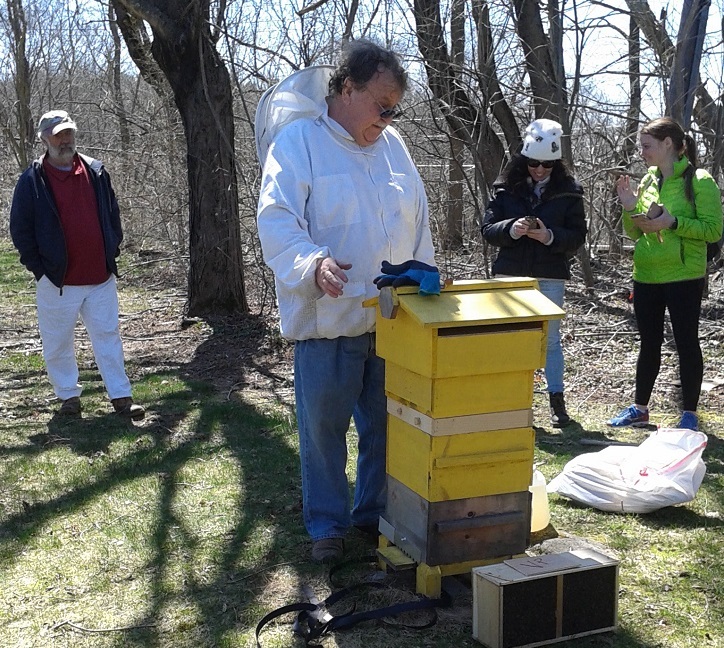 The students recently visited some of the hives on the Mass Audubon Headquarters site and practiced installing new bees into two of the hives. 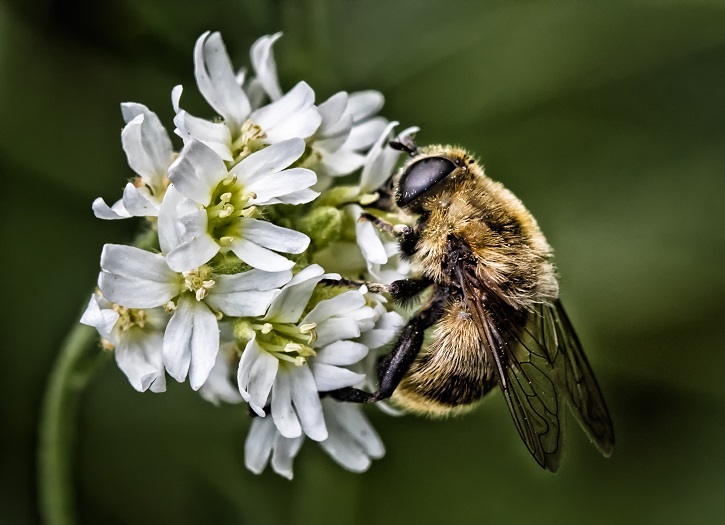 Having a healthy population of bees is important for a healthy habitat as they provide many ecological services, most notably in the pollination of flowers and plants. 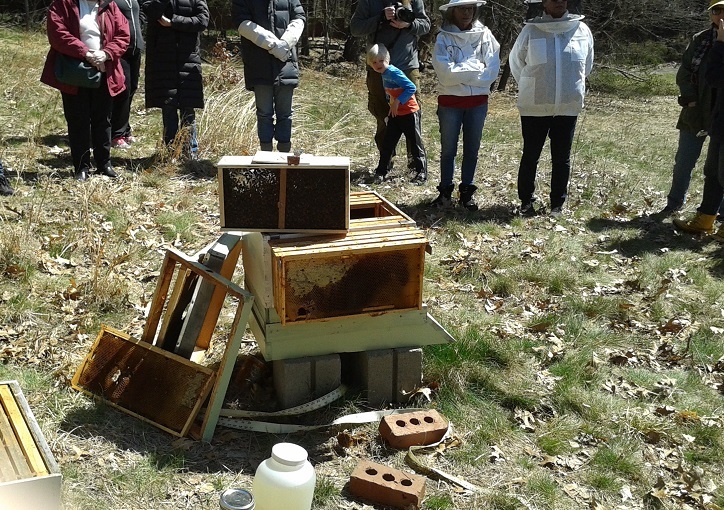 Drumlin Farm, as well as the Mass Audubon Headquarters site across the street, hosts many hives in our fields and forest edges to encourage bee populations and teach program participants about these fascinating insects and their care. Suited up, Mel fills the hives with new bees. There are many layers and parts within the artificial hives. 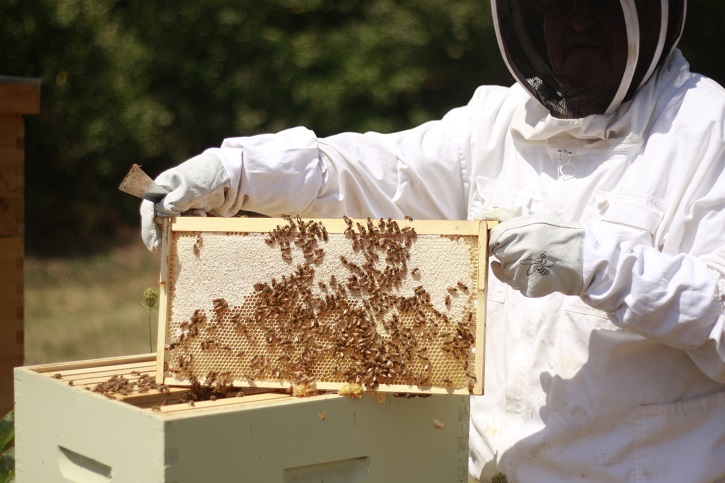 Beekeeping for Beginners graduates have the opportunity to advance their skills even further with Intermediate Beekeeping classes but there are many ways visitors can connect with these busy insects and the honey they provide. 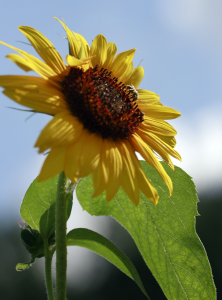 Children will love our Queen Bee, Honey Bunny, and Apple Honey Harvest programs, as well as the opportunity to focus on the Power of Pollen at Mini Camp. Adults can also have a merry time learning the ancient methods used in making mead, an ancient wine made from honey! This entry was posted in Education, Programs and tagged beekeeping, bees, hives, honey, inside the hive, mel gadd on May 3, 2018 by Kelly M..
Posted on March 27, 2018 by Kelly M.
Have you ever tried Drumlin Farm honey? Our bees work hard to pollinate our crops along with providing us with delicious honey, all under the watchful eye of our beekeeper, Mel Gadd. We’re proud to announce that Mel was recently named the 2017 Beekeeper of the Year by the Massachusetts Beekeepers Association. Mel Gadd has been keeping bees a little over ten years in Cambridge, MA. He has been involved with the Essex County Beekeepers Association (ECBA) for the past ten years, as Chair of the ECBA Bee School in 2015 and is on his second term as an ECBA Board of Director. Mel maintains over twenty hives, with three located in his own backyard and three at schools where he works with the 1st and 5th graders as his beekeepers. 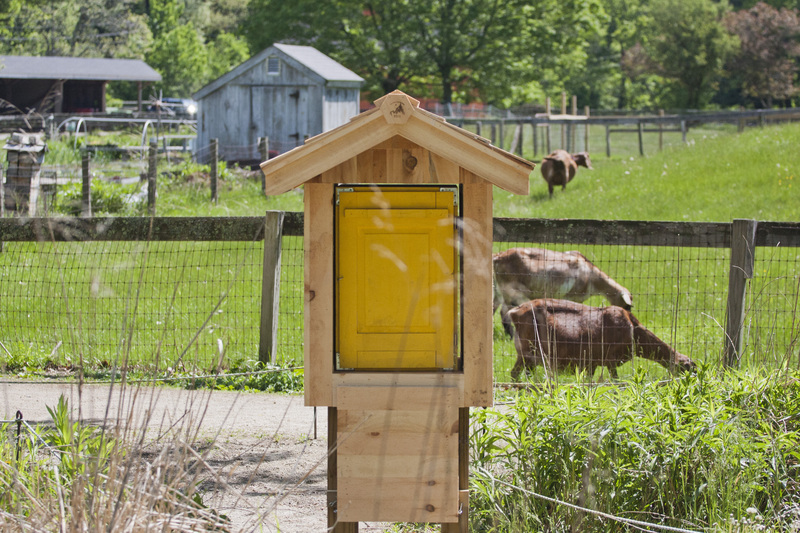 He started major beekeeping programs at Drumlin Farm, both in the fields, as well as established an educational program on the bees as part of Drumlin’s regular programming. This includes a five-week Bee School where Mel teaches participants everything they need to know about how to keep bees, and maintaining many hives at Drumlin. 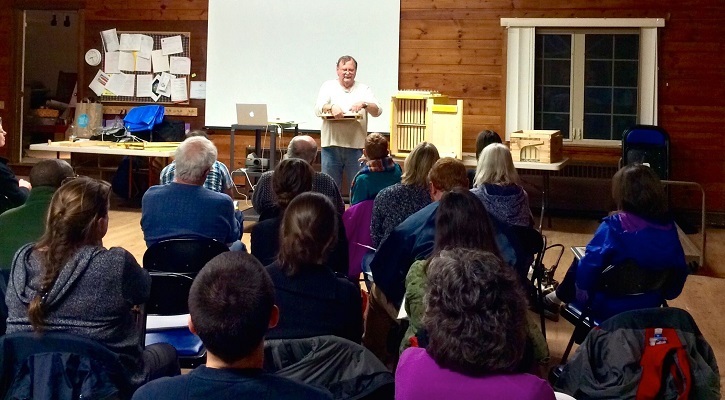 The 2018 Drumlin Farm Beekeeping for Beginners held its first class on the last Tuesday of February. The class was full with 38 students who were totally enthralled with the idea of keeping honey bees during the upcoming season. The idea of the class is to prepare students so that at the end of the five weeks in classroom and one day in the field, they will be able to start their beekeeping experience. Intermediate Beekeeping with Mel starts the last Tuesday in April, with registration currently open. Mel has also been involved with some of the non-traditional types of hives (top bar, Warre & Slovenian hives) and has been teaching about these at a number of forums in the region. At Drumlin, Mel has also been conducting studies using mushroom spores as an organic way to minimize/eliminate varroa mites. Recently, he was awarded Massachusetts Beekeepers Association’s 2017 Beekeeper of the Year Award. 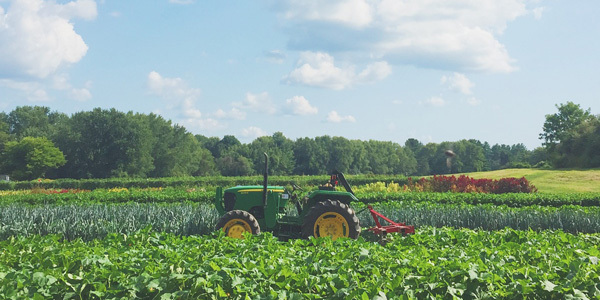 As an integral part of our farm-to-food programming and honey supply, we congratulate Mel and invite our community to learn from the best at one of his upcoming programs. Check back in for periodical “Inside the Hive” updates from Mel and his busy bee’s as they prepare for the upcoming season and learn about this fun hobby and important skill. Beekeeper checking on their hive. This entry was posted in Education, News, Programs and tagged beekeeping, bees, hive, honey, save the bees on March 27, 2018 by Kelly M.. 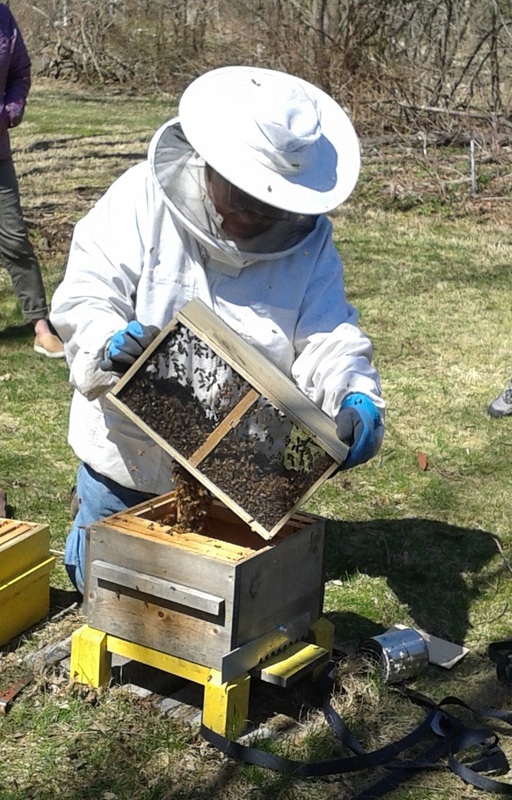 Since our spring update, several people noticed that the activity at the Learning Garden hive has dropped considerably. Initial inspection indicated that the bees might have abandoned this hive, as the normal busyness we are use to seeing this time of year is not happening. Number of bees drastically reduced (just a handful left). Very little stored honey, but a large amount of stored pollen. 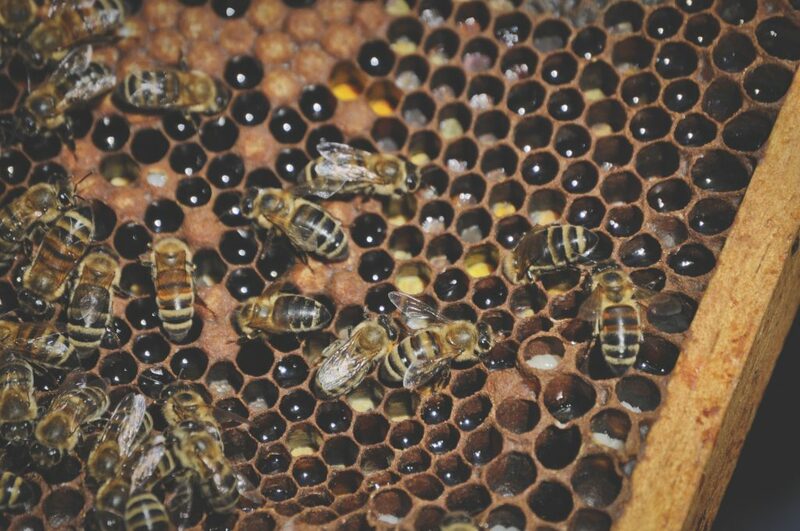 No brood (egg, larval, or pupal cells) in the hive. All of this indicates that the queen died or disappeared and the workers were not successful at raising a replacement before she was gone. Within the next couple of weeks, I will add bees from one of the Skinny Field hives and buy and install a new queen. Both Skinny Field Hives (5 and 6, if you’re looking at the map in the spring update) are doing extremely well, which would allow me to split the bees in one of them. I will then merge these bees with those in the Learning Garden hive and introduce the new queen. Feel free to visit the Learning Garden hive and open the windows and see if you notice the change in activity. This entry was posted in Education, Uncategorized and tagged bee, bees, honey, honey bee, pollinator on June 14, 2017 by Staff. 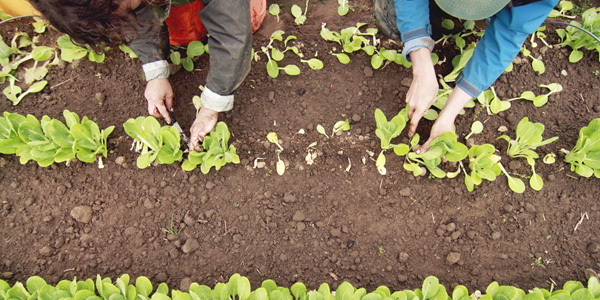 With the heat of Memorial Day weekend behind us, it’s time for us to throw on sunscreen and explore the farm! Buzz on in and learn about the queen bee and her court. She may have as many as 20,000 attendants catering to her needs, and she could lay up to 1,500 eggs each day! 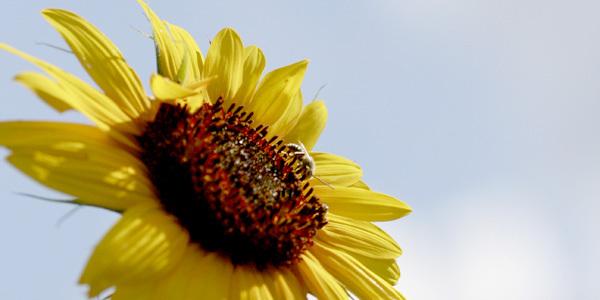 This class is all about honeybees—how they survive, what they do for us, and of course, honey. We will visit the hives and sample various honeys. If you are contemplating beekeeping or if you just want to know more about these insects, join us! Let’s go on a bug hunt and search for caterpillars, grasshopper nymphs, dragonfly naiads, and other insect larvae! Now that spring is here, migratory birds have returned and are settling in to raise their families. 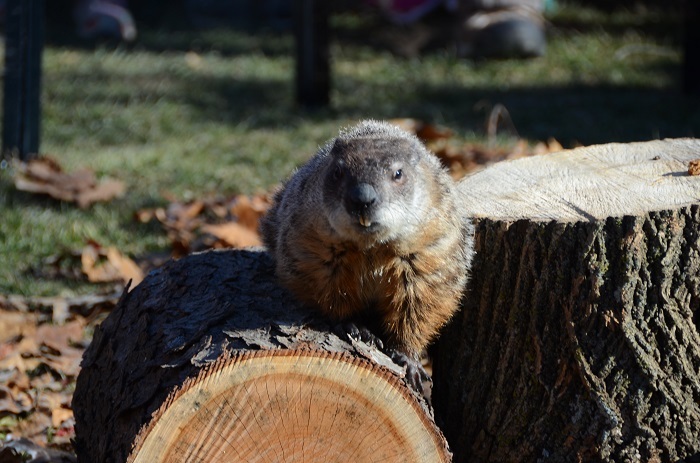 We’ll examine nests, listen to songs, and meet some feathered friends! Meet our web-footed quackers and discover why ponds are such wonderful places to live. 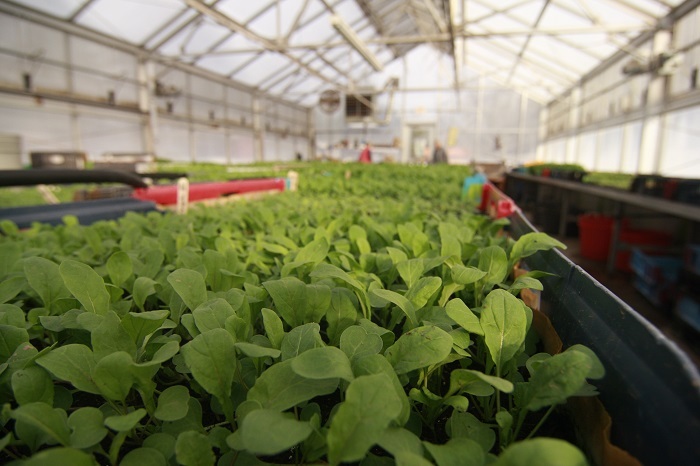 Celebrate the bounty of spring at Drumlin Farm as we visit the fields to harvest our meal. Return to the kitchen for a hands-on cooking class, where we will craft these ingredients and enjoy them together! 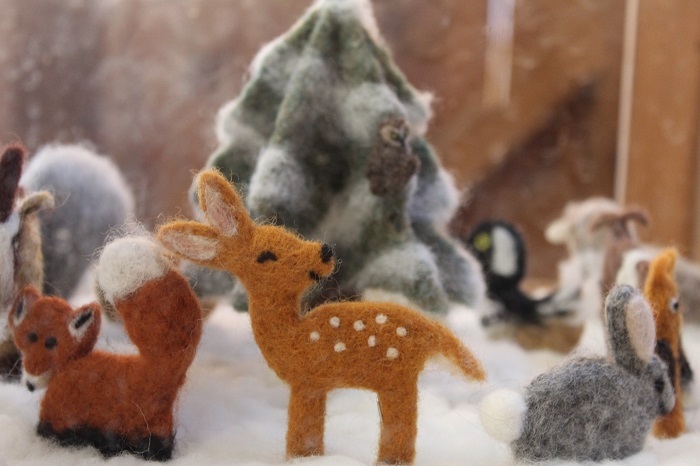 For a look at all of our upcoming programs, visit massaudubon.org/drumlinprograms. This entry was posted in Education, Friday to Friday, Programs and tagged bee, bees, farm, farm-to-table, farming, harvest, hive, honey, spring on May 31, 2016 by Staff. It’s well known that bee populations are on the decline. In his New York Magazine article “The Blight of the Honey Bee,” writer David Wallace-Wells states that populations have died off as much as 60 percent in some parts of North America. Even the Obama Administration has made an effort to figure out ways to help save our disappearing bee population. Which is why we’re doing our part to help keep the honey flowing! 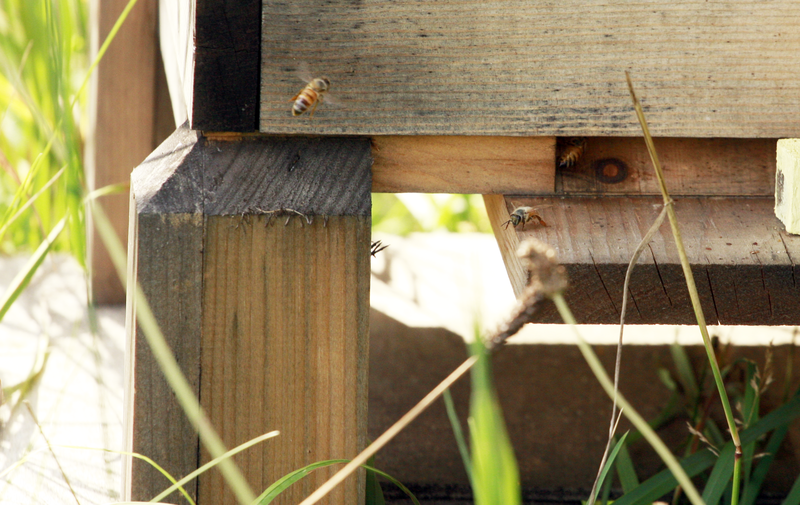 At Drumlin Farm, we have six hives that are buzzing with activity. And these little insects sure do work hard. From about 20 feet away, one can hear these lively hives, and dozens of bees can be seen hopping from flower to flower at any given time. If you still haven’t had the chance to see our hives, but want to learn more about what we’re doing with them, be sure to sign up for our intro class in October. Tia and Mel will be there to show you our hives and teach you all about the importance of maintaining the bee population. 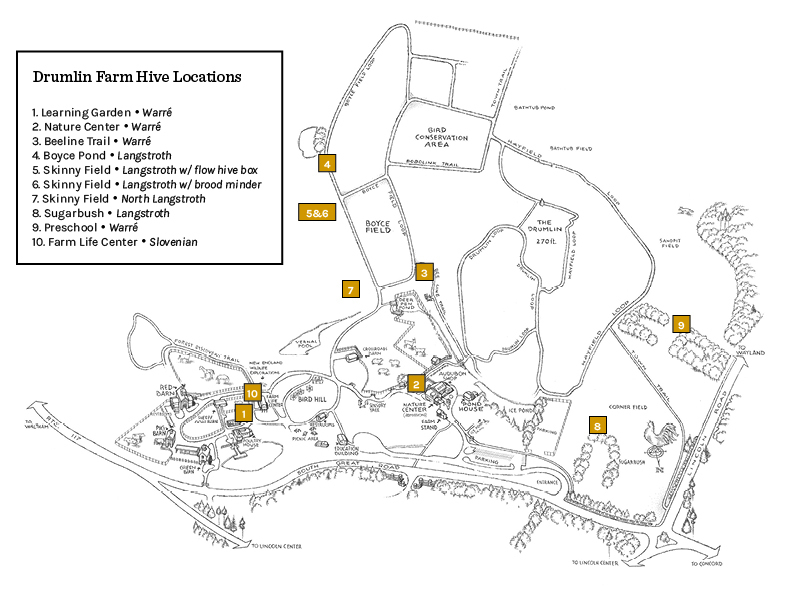 Although we don’t recommend getting too close to the hives (here’s a map of where you can find them), feel free to watch them at work as you roam around the farm! This entry was posted in Uncategorized and tagged beehive, bees, hive, honey, honey bee on August 20, 2015 by Staff.